Hall of the Mountain King: Review: Armored Saint, "La Raza"
While the outings from Armored Saint have been few and far between since Bush left to join Anthrax in 1994, they’re always worth the wait, and “La Raza” is no exception. The record sees the return of the lineup that’s been together since 1993’s “Symbol of Salvation.” The founding brothers, Gonzo Sandoval on drums and Phil Sandoval on guitar, acclaimed bassist Joey Vera, guitarist Jeff Duncan and, of course, Bush. Despite the long breaks between playing together, the band hasn’t lost any cohesiveness and everything on the record is just as tight as you’d expect. 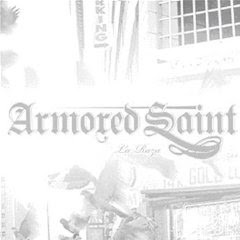 If you know Armored Saint, you pretty much know what to expect. You won’t find many fancy flourishes, gimmicks or attempts to connect with current trends. What you will find are chunky, thick-sounding guitar riffs, great grooves and memorable hooks delivered in droves. The first single, “Left Hook from Right Field,” is a beautiful example of what you’ll get. The song opens with church bells, followed by a static blast of guitars that gradually builds into a heavy full-band attack. Bush spits the lyrics with passion, then delivers a huge chorus that sticks with you. It’s what you expect from the band, and they deliver it over and over. Groove is a key here, whether it be heavy guitars or cooler blues-laced bits. 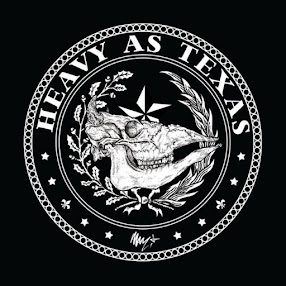 Of the heavy tunes, the funky riffing and spacey vocal delivery of “Get Off the Fence” and the punk-influenced heavy rock of “Little Monkey” are the best of a group of very good offerings. “Chilled” rules the smoother numbers with a big bottom end from Vera and Gonzo Sandoval and some tasty clean guitar work on the verse. It also presents an interesting dichotomy in subject matter. Musically, the title of the song is perhaps appropriate, but the venomous lyrics are anything but. “Black Feet” also delivers a winner for the smooth side of things, opening with a rustic-sounding acoustic groove that’s echoed by heavy guitars on the chorus. There’s also some nice bass work from Vera as the song shifts between quiet verses and heavier choruses. None of this will come as a surprise to fans of Armored Saint, but you shouldn’t think that there aren’t some twists and turns along the way. Most interesting is the final song on the record, “Bandit Country,” which brings a heavy funk to “La Raza.” It opens with some bouncy clean funk guitar backed with rolling drums and bass. The big, thick guitars that kick in on the chorus fade smoothly back into the funk, making for an irresistible close to the record. I mentioned the church bell opening on “Left Hook from Right Field,” and many of the songs have some kind of often-strange opening sequence. On first track, “Loose Cannon,” you’ve got a cool old Western movie-flavored piece that’s actually the best part of a song that doesn’t flow quite as well as the other tracks here. There’s a pipe organ on “Head On.” “Blues” opens with the sound of an old-fashioned rotary pay phone. Then there’s tribal percussion on the title track that returns on the chorus blended with a Sabbath-style riff.